Website Design Eastern Shore VA | The new website directory is mobile responsive and search engine directory with custom database for keyword and key phrase queries. The online website application connects users to Organic/ Non-GMO farmers, fishermen, manufacturers, restaurants and much more. 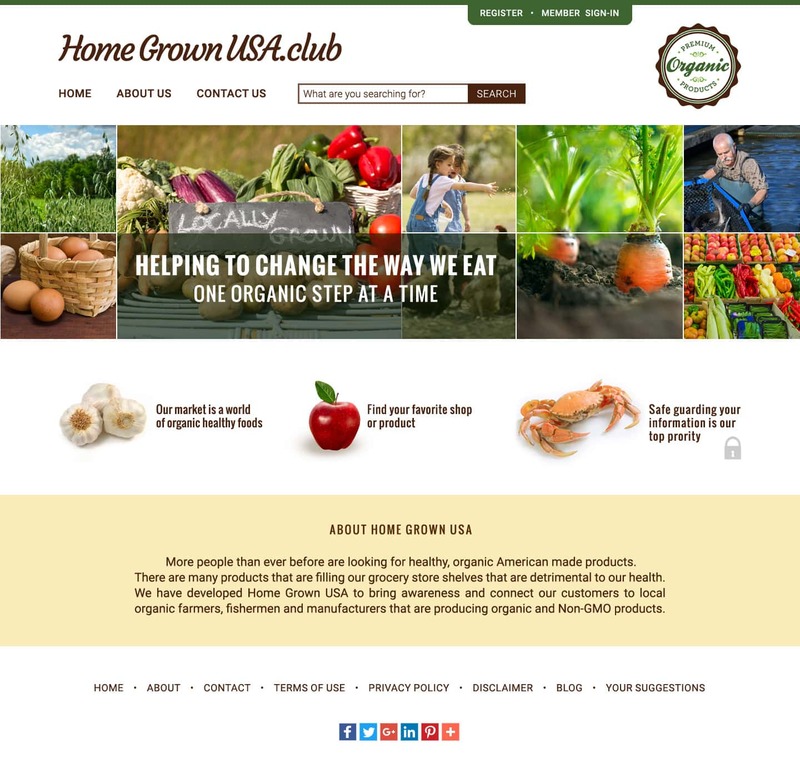 This recent web design Cape Charles VA project for Home Grown USA Organic Directory provides a competitive branded website presence in a highly competitive space. When searching Web site designers eastern shore look no further than the web design professionals at VISIONEFX. Year after year our website clients come back to redesign their business website. VISIONEFX designs professional websites, custom database applications and ecommerce websites. Work with VISIONEFX for an outstanding agency level website design for your business. We are a professional web design company based in Virginia. We understand that great design elevates web sites above the rest and work to provide you the very best in web design. VISIONEFX provides services to national companies and small businesses owners. Our services include; custom web design, web development, E-commerce web design, Word Press web design, Joomla web development, SEO and Website maintenance services. Call: (757) 619-6456 or email info@visionefx.net.